The PDH/PP Facility will be strategically located in Alberta's Industrial Heartland, adjacent to Pembina's Redwater fractionation complex ("RFS") and will consume approximately 23,000 barrels per day of local propane from RFS and other regional fractionation facilities. Pembina Pipeline Corporation and Petrochemical Industries Company K.S.C. ("PIC") of Kuwait, have announced a positive final investment decision to construct a 550,000 tonne per annum integrated propane dehydrogenation ("PDH") plant and polypropylene ("PP") upgrading facility through their equally-owned joint venture entity, Canada Kuwait Petrochemical Corporation ("CKPC"). CKPC brings together two strategically aligned organizations, with complimentary strengths, united in developing and operating a world-scale Alberta PDH/PP Facility. PIC brings comprehensive PDH and PP project experience, along with diversified global petrochemical marketing expertise. Pembina will manage long-term propane supply and provide Alberta-specific operating and project execution experience, feedstock connectivity and strong producer relationships. The PDH/PP Facility will be strategically located in Alberta's Industrial Heartland, adjacent to Pembina's Redwater fractionation complex ("RFS") and will consume approximately 23,000 barrels per day of local propane from RFS and other regional fractionation facilities. Ideally located in the Western Canadian Sedimenatry Basin, the facility will have long-term access to an abundant supply of propane feedstock, with a structural cost advantage when compared to other North American facilities. The PDH/PP Facility has a nameplate capacity of 550,000 metric tonnes of PP per year, including impact and random copolymers. PP is a high value polymer, which can be cost-effectively transported, using existing third-party infrastructure, throughout North America and to global markets. PP is fully recyclable and can be used in a wide range of finished products including automobiles, medical devices, food packaging and home electronic appliances, among others. The market for PP continues to see favorable long-term fundamentals with global PP demand growth outpacing global economic growth. PIC, with its extensive global marketing experience and worldwide sales presence, will be fundamental to ensuring CKPC becomes a PP supplier of choice for customers. CKPC has a detailed Class II level capital cost estimate of $4.5 billion (gross), including interest during construction. Included in this estimate is $4 billion (gross) for the PDH and PP plants and $0.5 billion for certain supporting facilities. Pembina's net investment of $2.5 billion represents a 50 percent interest in CKPC, which will own the PDH and PP plants, and a 100 percent directly-owned interest in the supporting facilities under an agreement between Pembina and CKPC whereby Pembina will own the facilities and provide services under a long-term, take-or-pay arrangement. 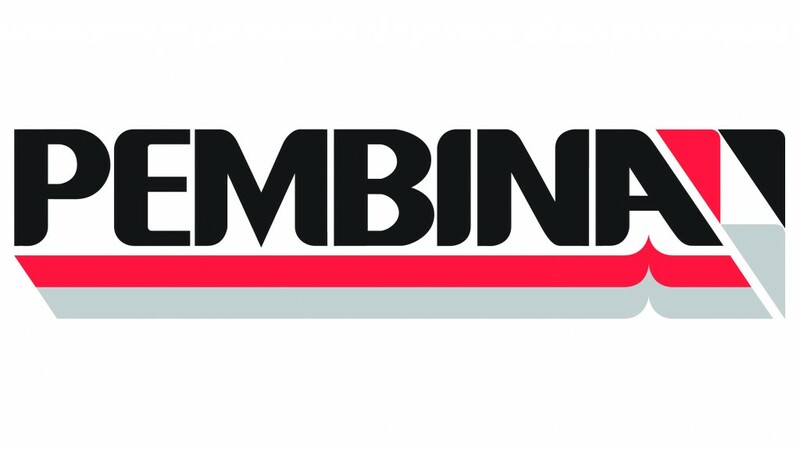 Pembina has secured in excess of 40 percent of its expected Adjusted EBITDA from this project through a portfolio of long-term, primarily take-or-pay, fee-for-service and other similar commercial arrangements with third parties, having a weighted average tenor of approximately 14 years, with the majority of counter parties being investment grade. The arrangements entered into to date support development of this project firmly within Pembina's publicly stated guardrails. Further, based on ongoing negotiations currently underway, Pembina is confident in achieving its stated goal of achieving a minimum of 50 percent fee-for-service contribution to Adjusted EBITDA. The PDH/PP Facility is expected to be in-service in mid-2023, subject to environmental and regulatory approvals, and is expected to generate annual run-rate Adjusted EBITDA of $275 to $350 million, net to Pembina. CKPC is pursuing asset-level debt financing for 50 percent of the jointly-owned facilities, with the remaining 50 percent to be financed through equity contributions from both partners. Pembina intends to finance the supporting facilities consistent with its long-term financing strategy of equal amounts of debt and equity. Pembina continues to anticipate equity contributions will be funded with cash flow after dividends. In addition, CKPC has been awarded $300 million of royalty credits from the Alberta government, of which CKPC has, to date, entered into agreements with Alberta hydrocarbon producers to monetize more than 80 percent over the first several years of operation of the PDH/PP Facility. "Sanctioning of the PDH/PP Facility is the largest step taken to date by Pembina in executing its strategy to secure global market prices for customers' hydrocarbons produced in western Canada, and provides another exciting platform for future growth," said Mick Dilger, Pembina's President and Chief Executive Officer. Mr. Dilger added, "Today's announcement is the culmination of many years of hard work with our partner to develop a project that is well positioned to capitalize on Alberta's abundant supply of propane and undertake value-added processing that benefits all of Pembina's stakeholders, the Province of Alberta and indeed all of Canada. It has been a pleasure to work with PIC and our strong partnership has helped mitigate the risks of entry into this new market segment." "The PDH/PP Facility is ideally aligned with PIC's continued pursuit of sustainable and globally-diversified growth," said Mohammed Abdullatif Al-Farhoud, PIC's Chief Executive Officer. "Our investment in CKPC provides PIC an opportunity to build on our existing asset base in Alberta by developing large-scale petrochemical infrastructure with a highly strategic partner in a market with long-term feedstock security and a supportive local government," added Mr. Al-Farhoud.